The MarketHero API integration allows PayKickstart vendors to automatically add their customers to a specific list/tag in the MarketHero account. Step 4: Choose ‘MarketHero’ on the drop-down menu for ‘Email Services Available’. Login to your MarketHero account and grab your API key they provide. Step 5: Once you’ve connected, you’ll need to go to ‘Campaigns’ on the left sidebar of your dashboard. Here, you’ll see your campaigns listed. Choose the PRODUCT that you want to integrate MarketHero with and select “edit product settings“. Step 6: In the Product settings, select Step 3 (Integrations) to open up your integrations information. 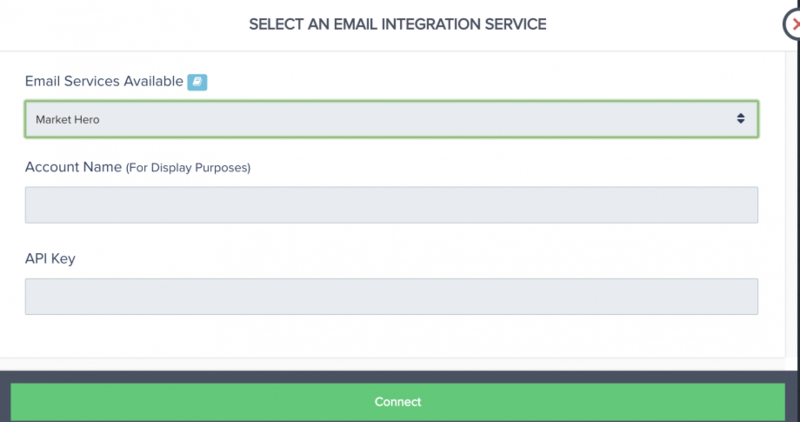 Step 7: In the product settings(integration section), please enable the email integration field. Step 8: If you’ve correctly integrated with the main area (steps 1-5 in this tutorial), then you can now select ‘MarketHero’ in the Email Integrations. 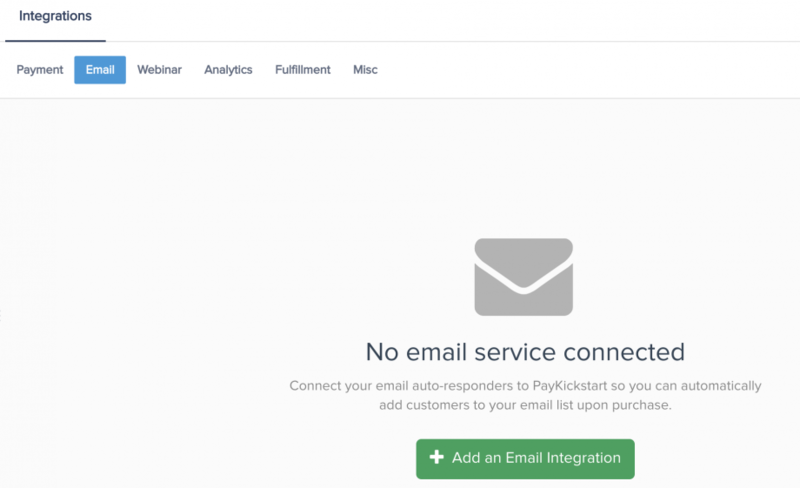 Choose ‘MarketHero’ as your email service. Now, when a customer purchases your main offer product, they’ll automatically be added to this MarketHero list that you’ve chosen.